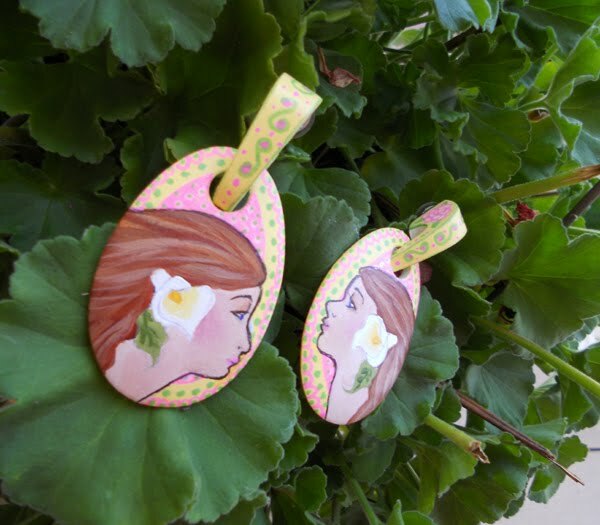 I had featured the beautiful handiwork of Diane Costanza in an earlier post and she is presented here today again as she has promised to give away a stunning pair of handmade earrings to a lucky FairyFiligree reader or follower. They are a pair of retro, 1980s wood earrings that had been left to show the natural beauty of the wood. They measure 1 1/2" wide x 3 1/4" long. 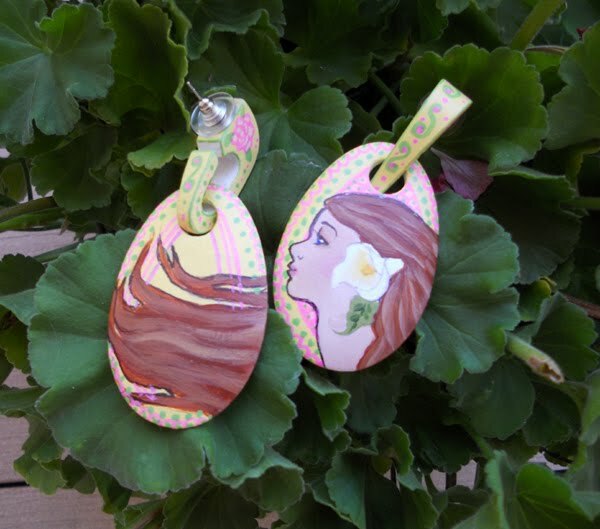 "My design is influenced by the Art Nouveau style, particularly Alphonse Mucha. These two pretty ladies are sisters, similar, but not the same. They can either be worn to be facing each other, or if you prefer, facing away. I chose to update the nouveau look with bright, bold, modern colors." 1. Start following Fairyfiligree & leave a comment on this post with a link to your blog or your website or your email address. 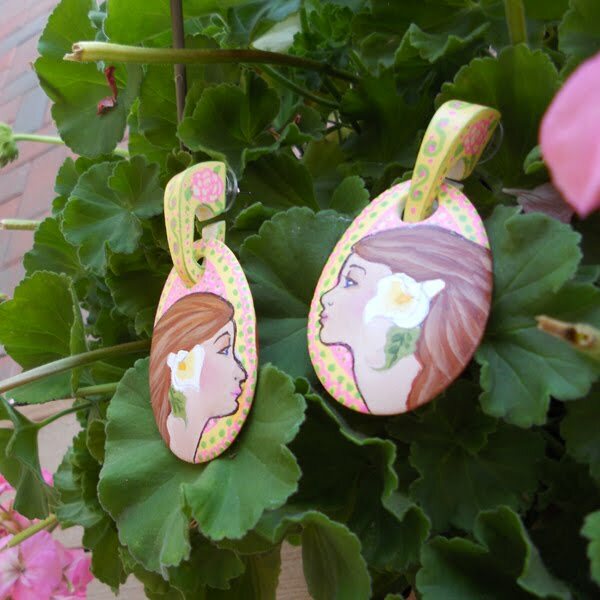 I need this so I can inform you of your win if you are picked out as the winner of these earrings. 2. Check out Diane Costanza's Etsy shop and tell me which item you like best from her shop in your comment. Thanks for hosting a giveaway of one of my pieces of jewelry! This is very exciting and good luck to everyone who participates! Hi, I really like the Fairy Fae Scrabble Pendant Necklace and also the vintage moon and pearl necklace, they are adorable! hi,I would love to participate in this giveaway,I'm your follower through Google Friend Connect..
Hi ;) What really caught my attention in the artists's Etsy shop was Vintage Rosary ART Necklace. I think it's great in so many ways!